The healthcare regulatory affairs outsourcing market is experiencing significant growth owing to services to Clinical Research Organizations. The rising number of patent expirations along with growing costs of research and development activities are the primary factors influencing the growth of the global healthcare regulatory affairs outsourcing market. Healthcare and biopharmaceutical organizations are likely to team up with numerous outsourcing companies for getting their drugs and devices approved in the global market. The approval time of a drug or device is a time taking process, is expensive, and is also a documentation centric procedure. As a result of the above, the service providers have been shifting their focus to outsource healthcare regulatory activities for reducing costs and focusing on core competencies. These type of regulatory service providers provide several other services as well such as pharmacovigilance, medical writing, and clinical trials to biotech and many different countries. 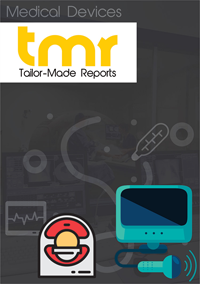 However, the market is expected to be inhibited by the high fluctuations in price along with hidden expenses in the regulatory services delivered by diverse Clinical Research Organizations. Furthermore, high risks pertaining to organizational information security is likely to challenge the productivity of the healthcare regulatory affairs outsourcing market. The service providers of healthcare regulatory affairs outsourcing can gain lucrative growth opportunities from emerging economies in Latin America and Asia Pacific owing to the developing infrastructure of these regions and investments in developing healthcare technologies. Regulatory policies are implemented to ensure that companies comply with certain standards of functioning in relation to their businesses. These policies or regulatory affairs in the healthcare industry are aimed at safeguarding the public health and welfare by ensuring the safety of pharmaceutical and healthcare products. An increasing number of healthcare companies lately are outsourcing their regulatory functions to focus on their core competencies instead. Furthermore, due to the advent of an increasing number of drugs in the clinical development process, regulatory affair outsourcing is gaining more importance in the healthcare sector. TMR Research, in its new report studies the prevalent prospects for the market. Based on in-depth analysis and exhaustive information obtained through proven research methodologies it also presents refined outlook for the market between 2017 and 2025. An increasing number of healthcare institutes and pharmaceutical companies are outsourcing regulatory affairs to save cost and capitalize on expertise available with the contract research organizations (CROs). Outsourcing healthcare regulatory affairs provides these organizations with the time and resource to focus on their core competencies, which is the chief driver of the global healthcare regulatory affairs outsourcing market. Currently, regulatory support is available for almost every process across clinical trials such as medical report writing, manufacturing and controls (CMC), data management, regulatory chemistry, country regulatory affairs, labeling and liaison, and regulatory strategy. One of the primary benefits of outsourcing regulatory affairs is cost effectiveness. Outsourcing non-core activities to experts can help companies focus more on their marketing and research and development activities. Hence in the long run companies can benefit from optimized reimbursements, product approval, and increased market share and productivity. Spurred by these factors, the global healthcare regulatory outsourcing market is poised to exhibit strong growth over the forecast period. Regionally, Asia Pacific, North America, Europe, and Rest of the World constitute the key market segments. Among these, North America emerged dominant as the U.S. held lead in the global healthcare regulatory affairs outsourcing market. Europe trailed North America as leading healthcare institutes therein increased their focus on reducing investment cost and capitalize on the availability of cheap labor. Besides this, the rising concentration on the optimum utilization of resources and gain from accelerated focus on faster product approval. Owing to the high costs involved in clinical development procedures in developed nations, the emerging countries are more preferred for regulatory affairs outsourcing in the healthcare sector. Asia Pacific for instance is exhibiting impressive CAGR and is fast emerging as a lucrative market for regulatory affairs outsourcing. The growth of Asia Pacific market is spurred due to the availability of a large pool of skilled labor at an affordable price and the increasing number of pharmaceutical companies intending to focus on their core competencies. Various companies around the world offer comprehensive knowledge in managing healthcare regulatory affairs. These companies mainly intend to help firms overcome challenges and accelerate clinical processes. Some of the leading players in the market identified by the report are Covance Group Ltd., Parexel International Corporation, Pharmaceutical Product Development, Medelis, Inc., Quintiles Transnational Holdings, Inc., Charles River Laboratories International, Inc., KAI Research, Inc., Medpace, Inc., and ICON Plc. The report conducts SWOT analysis on several of these market players to gauge determine their strengths and weaknesses. This analysis also provides insights into the opportunities and threats that potentially lay ahead for these companies over the course of the forecast period.